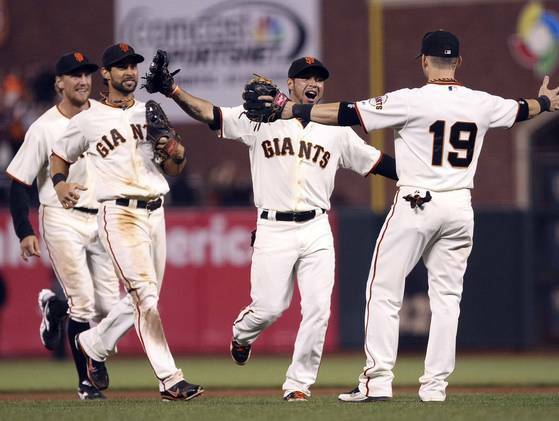 Bruce Bochy has been very quiet about what his postseason roster is going to look like. 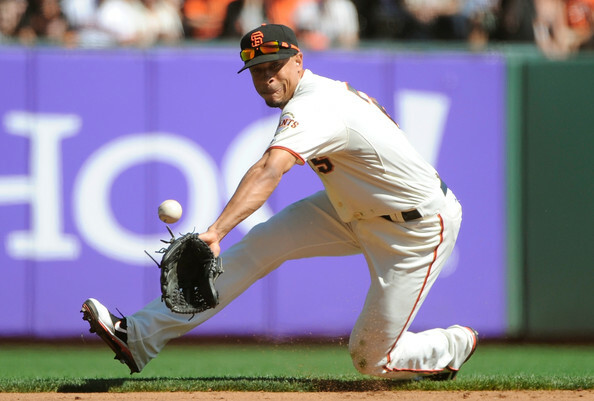 Now that the Giants have formally announced that they won’t bring Melky Cabrera with them to the postseason, the Giants’ coaches and management can bring along the players that truly helped them win the NL West. Bochy says that he is close to finalizing the 25-man roster, and one of the last things he has to consider is whether to have 11 or 12 pitchers. If he only has 11, he has to decide which position player will take that extra spot. When discussing this idea, Bochy brought up the disastrous 2003 playoffs that continue to haunt Giants fans today. In 2003, the Giants decided to carry 12 pitchers on the roster because Jason Schmidt had a lingering elbow injury. Because of this, they were forced to leave off their fast outfielder, Eric Young. In Game 4 of the Division Series, the Marlins held a 2-1 lead in the series over the Giants and had a one-run lead in the ninth inning. Jeffrey Hammonds hit a single, and J.T. Snow tried to score from second. Snow was never known for his speed and was tagged out at home on a throw from Jeff Conine. Snow tried to hit the catcher, Ivan Rodriguez, hard enough that he might drop the ball, but Rodriguez, a future Hall of Famer, was able to hold on and give the Marlins the series win. If Young had been on the postseason roster, he could’ve pinch run for Snow and easily scored on the play. Therefore, the Giants are being cautious about bringing on too many pitchers, which could cost them speed. So who could the Giants bring on for speed? The two most likely options are Justin Christian or Emmanuel Burriss. Francisco Peguero has been used in several pinch-running situations, but both Christian and Burriss have more experience and could provide some more versatility than Peguero would. Both Christian and Burriss aren’t known for their hitting, but both can play solid defense, and, of course, both are fast enough to steal some bases and give the Giants an advantage in their running game. Christian provides depth in the outfield, and Burriss provides depth in the infield. If Hector Sanchez really is going to catch Lincecum and possibly Zito in the playoffs and Buster Posey plays first base, then Belt would most likely play in left field those games, which would give the Giants some extra outfield depth. Since Blanco, Nady, Pagan, and Pence will also be on the postseason roster as well, it might make more sense for the Giants to bring on Burriss if they want to add some speed, but it’s a very close call. Burriss also has more major-league experience than Christian, which could be imperative in the playoffs. Bochy also hasn’t fully decided on what the starting rotation will look like either. It’s pretty certain that Matt Cain will start Game 1 of the Division Series and that Madison Bumgarner will start Game 2. Tim Lincecum might be starting Game 3, but his recent performance in San Diego might make the Giants re-think this idea. Bochy has said that Zito and Vogelsong will both make the playoff roster and could potentially start based on matchups. If not, one or both of them will be available as a long reliever, if Lincecum is one of the starters. There are also a lot of questions involving relief pitchers. The five relief pitchers that are pretty much guaranteed a spot are Jeremy Affeldt, Santiago Casilla, Sergio Romo, Javier Lopez, and Jose Mijares. This leaves one more spot open for a relief pitcher and it will most likely come down to George Kontos and Guillermo Mota. Kontos has been solid all year, but is young, which might give an edge to Mota. The fact that the Giants brought Mota back after his suspension shows that Bochy really believes in Mota and his abilities, which suggests that he will most likely be the 11th pitcher. If the Giants do decide to bring a 12th pitcher, then it seems as if Bochy would choose Kontos in that case. The Giants have to also consider some players that could come off the bench in pinch-hitting situations. It’s almost entirely certain that the Giants won’t bring on Eli Whiteside, Brett Pill, and Peguero. Some of the backup position players to consider for roster spots are Huff, Theriot, and either Christian or Burriss for speed. This season, Huff hasn’t been a starter, which is what he was used to being throughout his whole career. With Belt’s emergence as a reliable hitter, Huff has had to accept his role as a bench player, and, as of recently, has been pinch hitting pretty well. He can provide a left-handed bat off the bench, which is valuable to have in the playoffs. However, if Huff makes the roster, it makes even more sense to go with 11 pitchers and bring on Burriss, because Huff will need a pinch runner if he can reach base. Theriot is a solid, veteran player with lots of playoff experience and he also provides some infield depth. He could be the primary right-handed batter off the bench too. Then, if the Giants decide to carry only 11 pitchers, either Christian or Burriss could take the 25th roster spot. The final decisions on the postseason roster will come down to Kontos and Burriss. Even though the starting rotation isn’t totally set yet, Bochy has already said that all five starters will make the postseason roster. In terms of the final positions available, Bochy has to decide if he wants to add some speed to the roster, which could pay off in close-game situations near the end of the game, or whether he wants to have an extra pitcher available and not have to potentially overwork Romo, Lopez, etc. 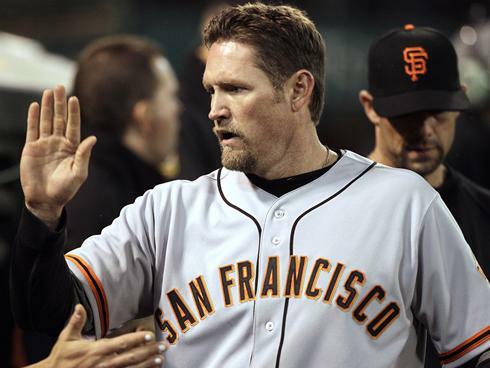 Bochy should learn from Davis Love missteps in picking his Ryder Cup veterans whose so-called experience turned out to be a bust. Leave Huff off the roster as well as other non-performers (Castilla) . Go with youth and speed. Look at what the A’s have done. Don’t play SAFE. Show some courage – you’ll need it against either the Reds or Washington. Don’t start Tim until the 4th or 5th game. Same reasoning!